Q: What motivated you to write the screenplay for 1975's Moonrunners? What inspired the story and the characters? Gy: I had discussion with an exec at United Artists and discovered that the film with the record for most bookings was a low budget car chase and moonshine film called 'Thunder Road'. It had booked somewhere, usually as a double feature every weekend for over TWENTY YEARS. The exec told me that he thought the market was ready for another one. As I had a childhood background in Kentucky knowing some moonshine drivers, I already had a low budget script I had been working on that I had halfway finished. The characters were inspired by some of my family; Jesse was my grandfather (both in 'Moonrunners' and in Dukes). Naturally, once you get started the rest is basic old hard script writing. I had also written and directed a TV documentary on an Urban renewal slum section of Atlanta that included some moonshine drivers who made regular runs from Atlanta to the North Georgia mountains. Moonrunners starred James Mitchum and followed the story of cousins, Grady and Bobby Lee Hagg, as they run bootleg liquor for their uncle. It was released in theaters in May of 1975 and does include some similarities to the show that Waldron would later create for television. Q: What do you remember about how you were approached with the possibility of creating a television series based on Moonrunners? Were you given any parameters to work with? How did you begin the process? Gy: I had been approached by a producer at Warner Brothers TV to create a show for him that was a tough, urban series about runaway high school kids and their struggles to survive. He asked to see examples of my work and I gave him some scripts and two pilots I had done for Norman Lear and I included the feature 'Moonrunners.' He screened it and called me in the middle of the night and said to forget the kid's show and asked if there was any way I could re-write 'Moonrunners' into a one-hour series action comedy. (There had never been a one-hour action comedy; either it was a half-hour comedy or an hour of action.) There was absolutely nothing on the air like it. I said that I would love to try. 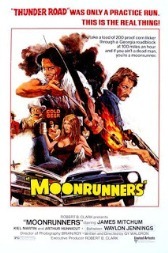 I wrote a twenty page pilot and series concept and then re-cut scenes from 'Moonrunners' with a comedy narration by Waylon Jennings simply to give an idea of how the TV show would look and sound - including some Country music by Waylon's band. We pitched it to the network; they loved it and ordered five shows to shoot as a test and a dozen scripts as backup. After an extremely careful and thorough round of casting involving several hundred actors we were off and running. 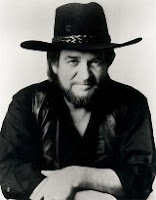 Q: Both the movie and the show feature Waylon Jennings as the Balladeer. Was that one of the concepts that you settled on right away? Did you want Jennings to play that role in the show for sure? 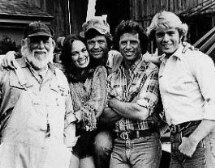 Were you involved in writing the show's theme song "Good ol' Boys" or was that all Jennings? Gy: I had been involved with Waylon and used his music in Moonrunners and as the narrator. I never considered anyone else for Dukes. The theme "Good ol' Boys" was written by Waylon. The Dukes of Hazzard ran for seven seasons and 145 episodes on CBS from 1979 to 1985. 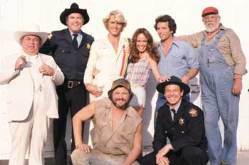 The series starred John Schneider and Tom Wopat as Bo and Luke Duke, but also included many other fun characters including Boss Hogg, Sheriff Roscoe P. Coltrane, Deputy Enos, Uncle Jesse and Cooter the mechanic. But I imagine many tuned in just to watch the gorgeous Catherine Bach play the role of Daisy Duke. Q: There was also an Uncle Jesse, a sheriff Roscoe Coltrane, a Cooter and a place called The Boar's Nest in both the movie and the show. Why did you decide to use some of the same characters and names in the show and change some of the others including changing the main character's family name to Duke? What were some of the character traits that you built into each of the main characters? Did you come up with the Daisy Duke character and did you write that she would have the most gorgeous legs on television accented by those short shorts? Gy: Jesse, Roscoe and Cooter were all in Moonrunners and I wanted to add more characters to flesh out and develop the comedy. In television you need more characters for comedy than in drama, so they can play off each other. The fact that we were also an action show made this even more important. The character traits were critical - the Duke boys were paroled felons who were actually the heroes fighting corrupt law enforcement (Roscoe) and county commissioner (Boss Hogg). We kept a simple premise - we would be the only show on television where the heroes might stop in the middle of a car chase and ask, "Are we doing the right thing?" and develop from there. Family to the Dukes was critical; they were cousins being raised by an uncle. They could not count on daddy, mommy and siblings - they had to hold it together with solid relationships and mutual respect. Daisy was every southern boy's dream-girl and when Cathy Bach came in to read for Daisy she had a big edge (those legs look even better in person if that is possible). The Daisy Duke shorts came during the first episode when Cathy designed them herself. 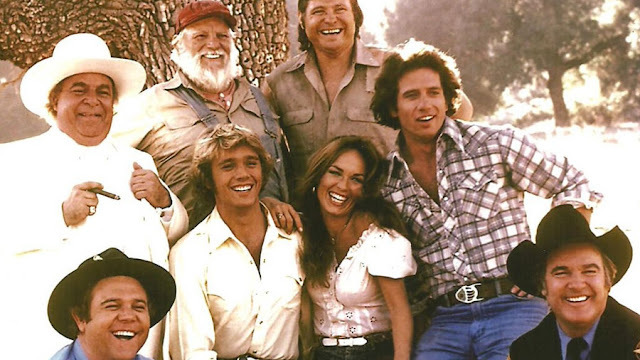 Q: Were you involved at all in casting the characters for The Dukes of Hazzard? If so, what do you remember about that process? Gy: I was involved in casting from the beginning. I met with all the actors, wrote special scenes to see what they could do and the producer and I had final say on casting. This took about six weeks of constant work until we got what we and the network wanted. Q: The car really became one of the stars of the show. Did you name and pick the car? Why was a 1969 Dodge Charger chosen and who decided to paint it orange with the confederate flag on the top? Who came up with the name, "General Lee" and were there ever any discussion over using a different car or name? I wanted a Confederate battle standard on the roof because a lot of race cars used some of that decor- so we went all the way. When the transportation chief called me and said the car was ready and he pulled up in a Dodge Charger, painted orange with the numbers in white on the door and the flag on the roof, I almost fell over. That baby was the racing cliche' - it looked like it was racing when standing still. I could never have come up with anything so perfect. Q: You are considered the show's creator. What was your regular ongoing role on the show? Had you ever been involved in writing any particular episodes of the show? Did you continue to advise throughout the show's run? Gy: I am the creator of Dukes. I wrote a twenty page concept that linked it with the Country Music audience. I pitched the show to the network (with the Producer from Warner Bros who assured the network that they would produce it). When they made their first order I wrote the pilot and second episode. I then outlined the next twelve stories and we picked writers who had a background in writing westerns. I wrote episode twelve and directed it. From then on I advised on the series, came up with an occasional story idea and wrote all of Waylon Jennings' narration for the series. This was to tie the story together and take the opportunity to add humor as well and short-cutting some scenes. This saved lots of production time. Q: Did you ever expect the series to become as popular as it did? And last for seven seasons? And live on in syndication for generations to come? What do you feel gives the show the tremendous appeal it had back then and still seems to have today? Gy: I was not surprised that the series became as popular as it did; I was surprised that it happened so quickly. By episode seven or so we were number one. We stayed in the top five for the next five years and were still in the top twelve to twenty when we were cancelled in year seven. It has run in syndication for over twenty years. 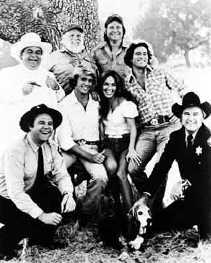 The show's popularity has continued for several reasons; the whole family could watch together; the heavy violence was on the machinery (cars) and not on people; we had loads of bar fights but never used any makeup blood; very often the Dukes and the crooked law cohorts Boss and Roscoe had to work together to fight outsiders who were worse. 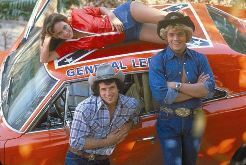 Another interesting note; because Dukes was on Friday nights, some high schools in Alabama, Georgia and Mississippi changed their football games to Saturday night because the kids were staying home watching 'The Dukes of Hazzard.' Now that is culture impact. Q: What were your feelings about the show when you saw the first season back in 1979? Was it everything that you'd envisioned and hoped it would be? Gy: I felt greatly relieved when the show opened because it was what I wanted. I was unhappy when Warner Bros went more "cartoony" because we had some serious stories that we could have made work. But the studio chiefs took the easy way... it happens. So you just do your best. 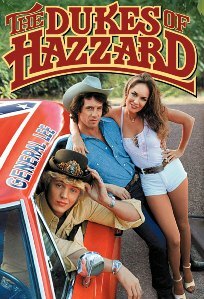 Q: Any other interesting stories or facts about creating or making The Dukes of Hazzard that you can share with us and let us in on? About any of the characters or actors that played them? Gy: Facts about the actors: we were extremely fortunate in that our actors got along very well with each other. Often in Hollywood this is not the case. A few tidbits: Cathy Bach (Daisy) is a terrific lady, very smart, very funny and all class; James Best (Sheriff Roscoe) is an excellent character actor with a long history of teaching acting to some of the best, he is also an accomplished painter of landscapes; Denver Pyle (Uncle Jesse) was an actor of long standing - he was also an oil mogul and owned several optometry schools; and Sorrell Booke (Boss Hogg) was a graduate of Yale drama, had a distinguished career on the stage and in features and was fluent in English, Yiddish, Russian and Japanese. And believe it or not - he was not fat; he wore a fat apparatus around his stomach to give him more heft. Q: I saw that you were a staff writer for the legendary Norman Lear. 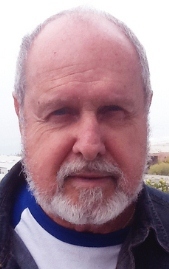 What can you tell us about Lear and your experience working for him? What is your perspective on his contributions to television and pop culture as a whole? Gy: I was fortunate to write for Norman Lear. He is a genius; he had ten comedy shows running at the same time, all top-rated. This will never happen again. He changed broadcast comedy forever when he broke new barriers, which gives shows the freedom they have today. Although I had been a writer for several years, because Lear had most of the top writers in broadcasting working with him, it was like going to a tough grad school with terrific teachers who were FUNNY! And as a bonus, I met my future wife there. Norman Lear was a trailblazer creating groundbreaking television programs primarily in the mid '70s into the late '80s. Some of the shows he is responsible for bringing to the small screen include: All in the Family, Sanford and Son, Maude, Good Times, The Jeffersons, One Day at a Time, Diff'rent Strokes, The Facts of Life, Silver Spoons, Who's the Boss? and 227 among others. 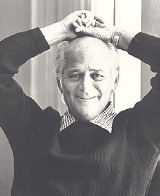 When he was awarded the National Medal of Arts by President Bill Clinton, he noted that "Norman Lear has held up a mirror to American society and changed the way we look at it." Waldron specifically wrote episodes for One Day at a Time. Q: How did you come to be involved with and write the 1987 television miniseries Billionaire Boys Club? What do you remember about bringing that story to life? 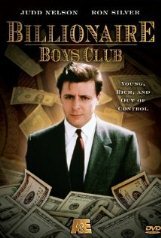 Gy: 'Billionaire Boys Club' was a miniseries based on a sensational and highly unusual murder case involving two homicides. Joe Hunt, a young college-age investment genius formed a group of boys from Los Angeles prominent wealthy families as an investment base. They would use their contacts to raise money. When things went bad they murdered a broker who mishandled their money and the father of one of the boys in an attempt to get his inheritance to invest. The last week of Joe Hunt's trial I was contacted by the network to write a four-hour miniseries if he was found guilty. He was, and the next day I was in the courtroom for the penalty phase. The major problem was time; we had to be in production in a month with all four hours written. Normally a month of writing is allowed per hour. This meant that they would be shooting as I was writing with no time for re-writes. This included interviewing all the witnesses, the homicide detectives, the principle players and working from over 2000 pages of trial transcript and case files. I had a full-time research assistant. It was a marathon struggle but we must have done something right because I received an Emmy nomination. Q: Please tell us a little about what you have been up to more recently. What can you tell us about Twist of Time? Gy: For the last few years I have devoted myself exclusively to writing novels. Currently, my first, 'Twist of Time', is now on Amazon, Barnes and Noble and through the Apple iBookstore. It is published online by Definitive Words publishing. It is a romantic thriller involving the unusual pairing of Kate O'Flynn, an attractive homicide detective in Santa Barbara, California, and Thomas, an Anglican monk with a mysterious past who is an expert in Celtic Studies. They are brought together by the sudden appearance of a legendary Templar diary written in 1314. It was composed by Sir Brychan, a monk and Templar Knight who was on a suicide mission. The diary was stolen from him and for the next 700 years whenever it reappears there are multiple murders - seven centuries of serial killings all linked to the diary. This time when the diary is discovered, Thomas is hired to translate it from the original medieval Celtic. But the courier bringing it to him is murdered and the diary is stolen. (Another homicide right on schedule!) Brother Thomas and Detective Kate must recover the diary and by using bits of its ancient text, follow the Templar Knight's trail in France and Scotland to discover the diary's secrets. But they are being followed by three competing cartels that will commit more murders to get the diary. And to complicate matters further, Kate, the cynical divorcee and Thomas the devout monk, are falling in love. Seriously. I am currently writing the sequel to Twist of Time. I am so pleased that Gy was able to take some time to answer some questions so I could share them with you here. You can find out more about him and Twist of Time at his official GyWaldron.com website. 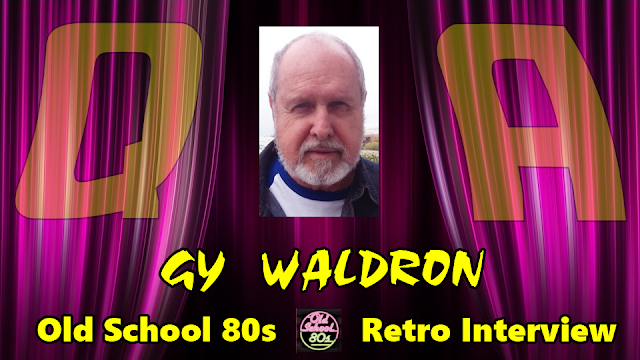 I want to take this occasion to again thank Gy Waldron for his contributions to '80s pop culture especially creating The Dukes of Hazzard and, even more, for going back to the '80s with us here for a little while as well.